Researchers in the U.S. and Japan say they may have found the cause of the first mass extinction of life on Earth. 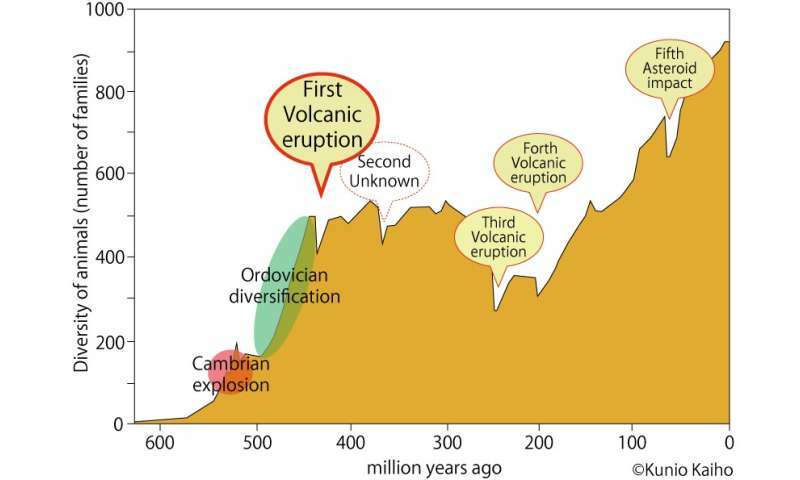 There have been five mass extinctions since the divergent evolution of early animals 600 to 450 million years ago (Figure 1). Volcanic activity was the cause of both the third and fourth, while an asteroid impact led to the fifth. But triggers of the first and second mass extinctions had, until now, been unknown. 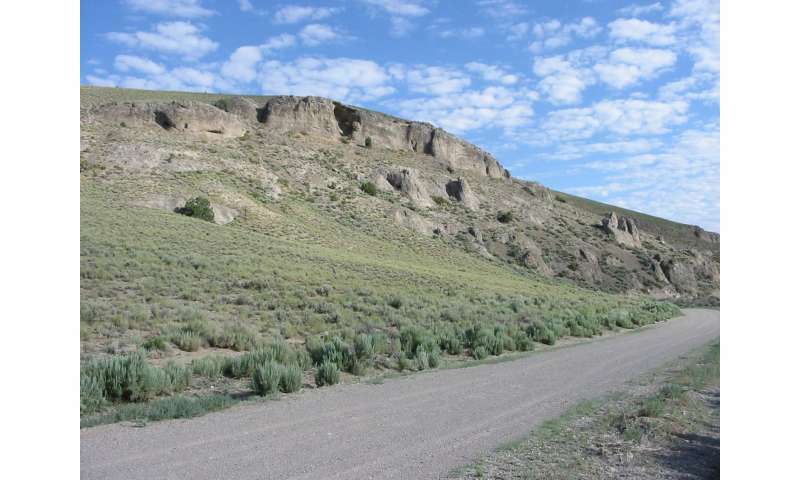 The new study strongly suggests volcanic activity caused the first mass extinction. It occurred at the end of the Ordovician. This age is between the divergence of the Ordovician and land invasion of vascular land plants and animals. 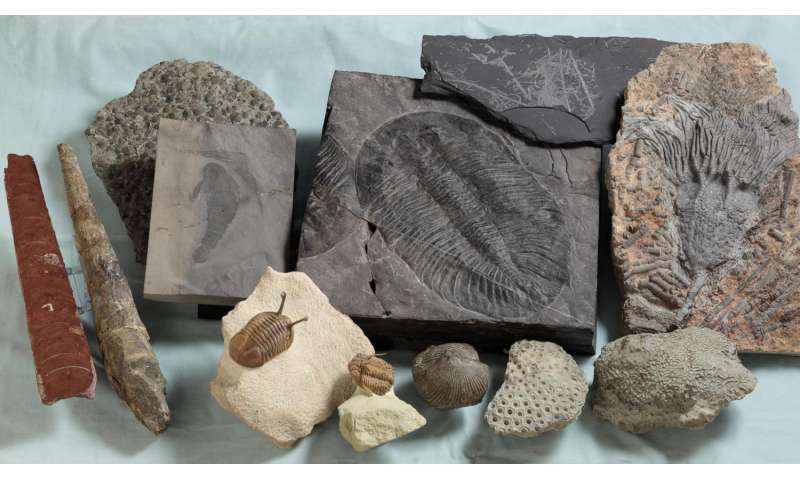 Animals in the Ordovician-Silurian comprised marine animals like corals, trilobites, sea scorpions, orthoceras, brachiopods, graptolite, crinoid and jawless fish. Approximately 80 percent of species disappeared at the end of the Ordovician. A team led by Dr. David S. Jones of Amherst College and Professor Kunio Kaiho of Tohoku University looked into possible triggers of the first mass extinction. They took sedimentary rock samples from two places—North America and southern China—and analyzed their mercury (Hg) content. They found Hg enrichments coinciding with the mass extinction in both areas. This, they believe, is the product of large volcanic eruptions, because the Hg anomaly was also observed in other large igneous province volcanisms. Kaiho's team is now studying the second mass extinction in the hopes of further understanding the cause and processes behind it.